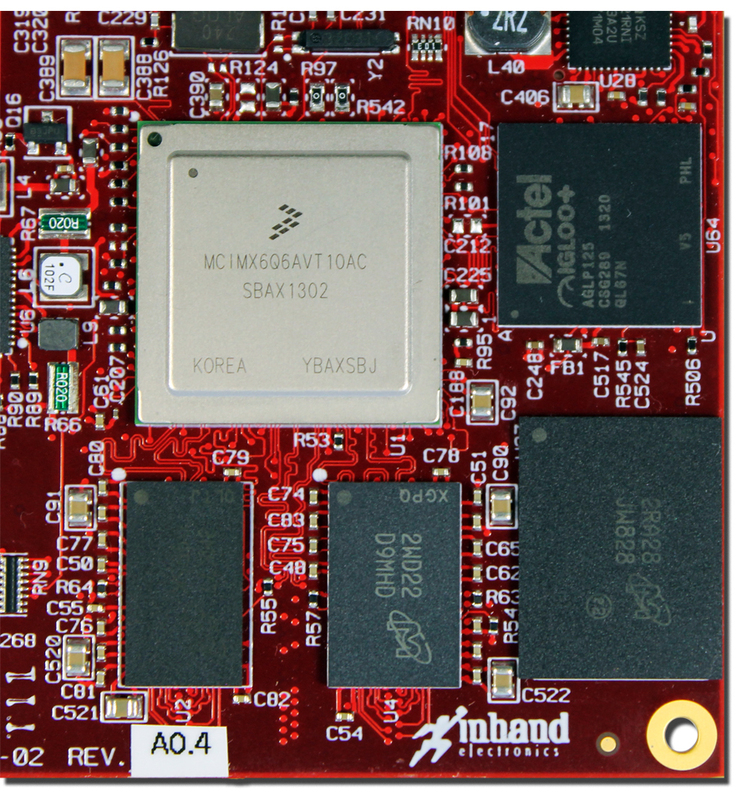 The Freescale i.MX 6 ARM processor is dominating the market in next generation special-purpose embedded devices for the medical, military, and industrial markets. Examples of such embedded devices include a medical blood analysis device, a military handheld for situational awareness, and a diagnostic instrument to monitor vibration for machine health management. Today I’m going to outline why the i.MX 6 is on top in the processor market for specialized device design. First: long life cycles. Medical, military, and industrial embedded devices exhibit long life cycles from concept through development, launch, sustainment, and obsolescence. Microprocessor product availability over the device’s life span is crucial because such embedded devices may have a concept design to market introduction timeline that exceeds the market life of the average processor. For example, ARM processor alternates to the i.MX 6, such as Qualcom’s Snapdragon and Nvidia’s Tegra – are intended for high volume commercial products, do not guarantee long product life cycles, and may only be available for 12-18 months. This means that when the product life cycle ends, companies utilizing these processors will have to redesign their product to adapt to the latest processors available on the market or perform expensive last time buys of components and carry parts inventory. This presents a problem in the design-to-market timeline because these systems often require product certifications (e.g. Medical Class I, II, III, Military i.e. MIL SPEC 810G/461F, industrial IP65/67, CE, UL) and customer qualifications, which significantly postpone time-to-market schedules. And thus, projects such as this require a processor with a long life cycle in order to succeed. The i.MX 6 processor has a life span in excess of ten years, supporting long-life embedded products. InHand’s commercial off-the-shelf (COTS) single board computers (SBCs), such as the Fingertip4, Fingertip5 or FireFly, historically have product life cycles around eight years. We expect our Fury-F6 SBCs to have a similar life cycle, providing customer with a safe passage from concept to market, while getting the most out of their embedded investment. Secondly, commercial (high-volume) ARM processors are not generally available to the broad electronics industry. Their manufacturers do not publically publish product road maps and the processors are not available from stock through distribution channels. The Freescale i.MX- 6 processor is widely available from stock at national and international distribution channels such as: Arrow, Future, Avnet, Digi-Key, Mouser, etc. Contrarily, companies wishing to use commercial processors must negotiate directly with the manufacturer for access to the silicon and design collateral information and must meet very high production volume commitments. Also, software development for embedded applications is often limited in support to a single operating system for programming at the application level. In contrast, the i.MX 6 has a strong broad developer community, which is facilitated by Freescale along with collaborative open source hardware designs, such as UDOO. These communities, along with Freescale’s partners, provide a rich ecosystem of embedded hardware and software design support. The communities aggregate and share detailed technical information and lessons learned, helping embedded system developers design at the hardware, firmware, kernel, and driver levels. Additionally, rich sets of operating systems are available, including Linux, Android, and Windows CE (Embedded Windows). This makes application and software development with the i.MX 6 easier with lower risk, faster time to market, and smaller software engineering teams. Lastly, i.MX 6 offers greater durability and flexibility versus other ARM manufacturers. The durability and flexibility of the i.MX 6 is pivotal to the success of embedded products which are often designed for outdoors, industrial, or automotive applications. The i.MX 6 is offered as a single, dual, or quad core processor. This allows embedded products to be optimized based on horsepower, bandwidth, and power consumption requirements. i.MX 6 processor options include industrial and automotive temperature ranges of -40°C to 85°C ambient (-40°C to 125°C junction ( max operating) temperature), enabling product operation over temperature extremes. Commercial processors like the Nvidia Tegra and Qualcomm Snapdragon do not offer the variety of SKUs and wide temperature ranges. With an embedded processor family, there is flexibility in designing custom power management ICs (PMICs) and specific electronic architectures to support turning peripherals on and off, to extend battery life. Additional API and software drivers can be customized to allow scaling the processor speed and improve power efficiency. InHand has leveraged the aforementioned features of the i.MX 6 Cortex-A9 ARM microprocessor in the design of its Fury-F6 single board computer (SBC). Available with various combinations of processor cores and memory options, the Fury-F6 provides connectivity for flat panel displays, Ethernet, USB, PCIe, and various serial interfaces that enable portable embedded devices. The companion Muse-F6 carrier card additionally provides Wi-Fi, GPS, cellular communication, touch screen, and other functions that complete a basic Internet of Things (IoT) device. The platform is available with Linux and Android operating systems. The Fury-F6 and Muse-F6 are typically leveraged in OEM product designs in two ways. First, the COTS Fury-F6 can be purchased and integrated by the client into a custom designed device. Second, clients may contract InHand to perform a modified COTS design. A modified COTS design starts with our existing Fury-F6 SBC and Muse-F6 carrier board, and then modifies the circuit features for a specific application. Unneeded features are removed while new necessary features are added. The architecture is optimized for features, power, connectivity, cost, and performance. Boot loader, BSP, and driver software are updated as needed and working prototypes are typically delivered in 12 to 16 weeks. With the i.MX 6 broad market appeal, very long product life cycles, wide availability, a popular support community, and the use of a proven Fury-F6 existing design, new product introduction can be made quickly and efficiently. The combination of the i.MX 6 and modified COTS offers lower risk, speedy time to market, long life, and lower cost. It leverages an existing product design based on Freescale’s popular i.MX 6 process with working hardware and board support package (BSP) with functional and tested drivers to bring it from design to market at a lower cost both fast and reliably. And that’s why the i.MX 6 is at the top of its game.